The new Samsung Galaxy S10 5G is coming next month, this is Samsung’s first 5G smartphone and the handset is launching on the 5th of April. 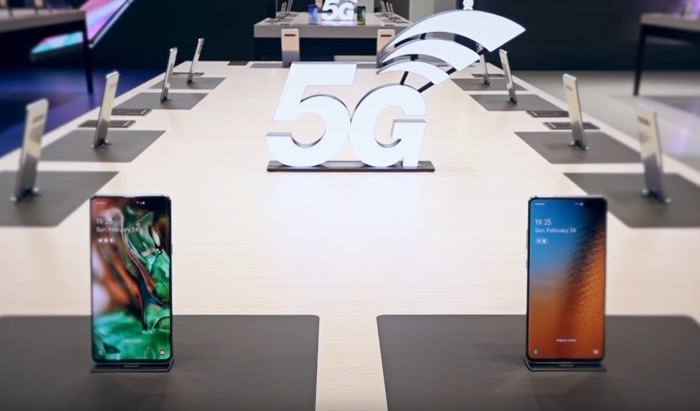 The S10 5G will be launching in the US and South Korea first and the device will apparently offer download speeds of u to 4Gbps. The handset is being tested with SK Telecom at the moment and they have already managed to achieve speeds of 2.7Gbps with the device so far. These speed have been achieved using 5G LTE aggregation technology and when the S10G launches on SK Telecom it will be available with speeds of up to 2.6Gbps, this will be increased to 2.7 Gbps by the end of the year. The company is also testing out triple aggregation and when this is live it will offer massive download speed of up to 4Gbps. The new Samsung Galaxy S10 5G goes on sale in South Korea on the 5th of April.